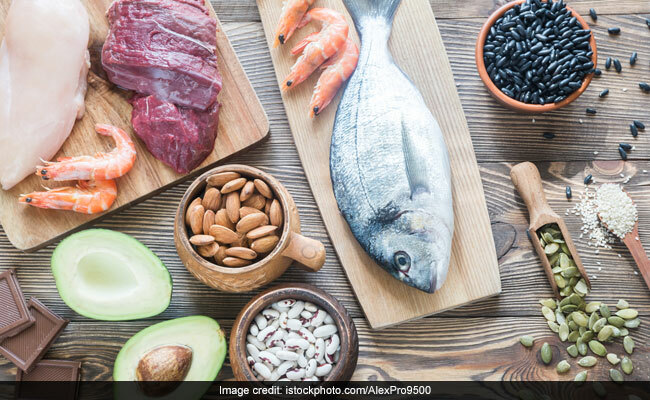 If you are not getting enough zinc in your diet, chances are that you might experience rough and dry skin, loss of appetite and even altered vision. Zinc-rich foods are important for the growth and division of cells in the body. In order to live a healthy life, it is important to eat a diet that comprises essential nutrients. A deficiency of any nutrient in body can lead to a host of health diseases. Various vitamins and minerals like zinc are extremely crucial for the sustenance of human body, as it helps in proper functioning of cells. In order to include zinc in your diet, you can consume various zinc-rich foods. Zinc-rich foods are important for the growth and division of cells in the body. Zinc is a trace mineral that is also known to keep common cold at bay. If you are not getting enough zinc in your diet, chances are that you might experience rough and dry skin, loss of appetite and even altered vision. Fish happens to be an excellent source of zinc. If you are a non-vegetarian, then include fish in your diet and always make sure that your zinc intake is in check. You may consume it twice a week and you are good to go. Vegetarians, fret not! In order to get your share of zinc, you can bring trail mix to your rescue. A mix of almonds, cashews, walnuts, flaxseeds, pumpkin seeds etc. can be a great option for all the vegetarians out there. Spinach is one of the most nutrient-dense foods out there. Not only is it replete with vitamin A, iron and potassium, but also quite rich in zinc content. You can have it cooked to reap its maximum benefits. Other zinc-rich foods include legumes, meat, shellfish, seeds, eggs and whole grains. If you think that your diet is not enough to fulfil your zinc requirement, consult your nutritionist. Have You Been Eating Canned Tuna, Chicken? Here's Why You Must Stop!